wow---those are all so beautiful! Your box is fun and fabulous. I love the idea of the pin wheel made out of wire ribbon...another technique I am sure I will be using. Along with your cards this is the perfect gift for someone. Very pretty! I especially love the way you decorated the box. That tree and the butterflies are so cute! How crafty are you...love your cards and especially love all that great ribbon. Also loving your "no stamp" cards! Perfect! Love how nicely the leaves run through the Xyron. I really love the Happy card, it does just that, makes you happy. Great job on all your projects! Cute set of cards and love how you decorated the box--I really like the tree. Isn't that Xyron sticker maker the bomb? I love it for the fact that you only get adhesive where you want it. You have tremendous talent and creativity...I love the box and the bow is so darned cute glad you shared. I just LOVE your work. Thanks for the inspiration. Happy summery colours - very fitting and charming! What absolutely wonderful projects. Love the box decor you added. And, those cards are super fantastic with all those magnificient papers. The nubby textures and the dark orange are oo la la lovely. Fun projects today with the beautiful cards and adorable box. Love the pinwheel l and all the wonderful embellishments. Great job. Such happy projects beautifully executed. Made me smile. Love the altered box and the cards are glorious. Beautiful set Charlene! Thank you for sharing! I'm really loving the cork and twine. I need to get some cork---it's a great look. So very sweet Charlene! I love each of the cards and the box holder! What a sweet set! I especially love how you decorated the little bag! 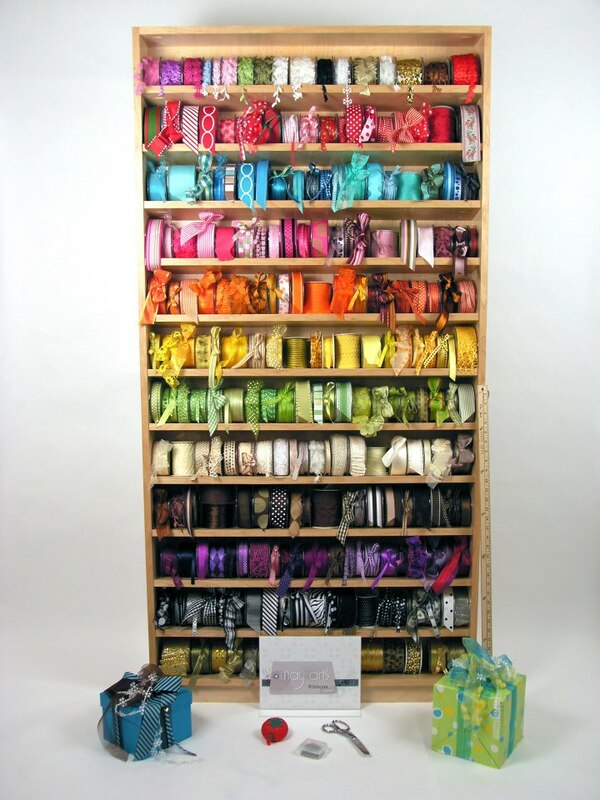 Whoever came up with the idea of putting wire into ribbon should be memorialized. You get a great look with a lot less work. I love the bows. The cards are great. thanks for sharing. Beautiful set of cards. All of your details are lovely. Love the great colors in these cards and all the fun patterns and layers! Oh, my goodness....This is just the cutest box and card set!! Love the colors and the little how-tos using the sticker machine! What a wonderful gift. Great cards. So cheerful and bright! Your box is really cute! I love the card with the ribbon leaves.